I’m with you on this one. Now cows’ milk tastes a bit weird. So, finally landed the lucrative job, eh? Yes, I finally made it! I hope you also have another goat to milk. That would make you the goat two guy for milking! Hope those goats appreciate you, Eddy! Oh, goodness, I hope you do! Poor little things…. 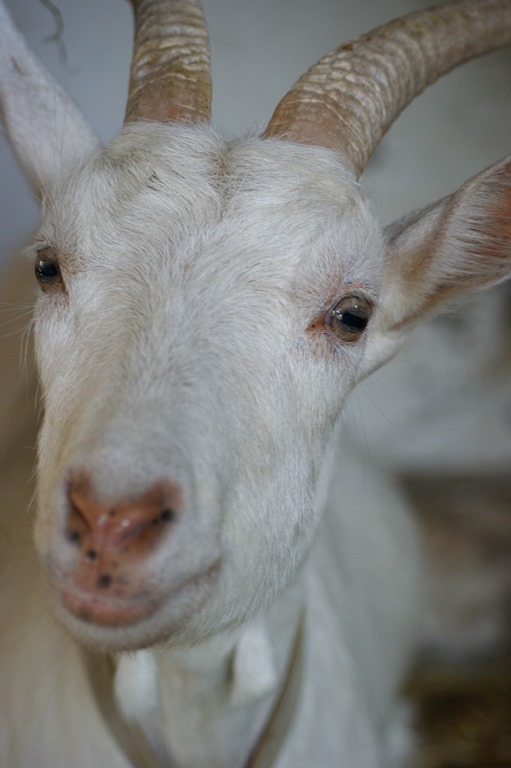 Until we had goats I always drank full cream milk straight from the milk tank on my neighbours dairy farm. I thought in those days that low fat milk was an abomination and that those people who drank it were losing out. Then we got goats because the second son had a cow milk allergy and their milk became our staple for cheese and yoghurt too. Nowadays living without milk goats I find milk other than low fat in tea for instance as though I have put butter in the cup. Just goes to show how we evolve during life. We do have 2 neutered Nubisch billy goats who are great fun, Lido and Bambi they remain kid like when neutered at around 4 months, not later! Oh…. Clumsy me Nubisch is the Dutch for Nubian sorry Eddy. In my modest opinion they are friendlier than other species of male goats. That was the one job I never wanted. Up too early in the mornings, and doing all the hard work for the milkman sitting in his float, before a long day at school. I got a holiday job at a toy factory, filling up ‘Paint-by-numbers’ sets, and packing toy Plasticine kits. Hot work, and monotonous, but inside in the warm. My Saturday job was in the record department of a big store, so I got to hear music played all day, from 9-6.